Puckhead's Thoughts: Is This The Season? The Hockey News may have put the expectation of a Stanley Cup Championship on the shoulders of the Washington Capitals, but the Caps will have fix some demons that plagued them (and seem to continue to plague them) last year. The power play is an effective tool for a team that wants to find success in the regular season and in the post season. What an consistently dangerous power play does is put the other team and an immediate disadvantage. When opposing teams are more concerned about not taking penalties against sure goals on the power play, that opens up ice and opportunity at even strength. But if a team is confident that they can kill off the power play, they can take liberties to shut down any open opportunities. The Capitals power play is an exercise in conformity that is easily recognizable. They like to overload the stick side of the goaltender and "hide" Alex Ovechkin's one timer on the far boards. Nick Backstrom is the quaterback, often near the goal line on the other side with a player out front and a forward and defenseman high for options. If opposing teams can isolate Backstrom along the boards and negate the pass to Ovechkin or any other back door play, the goaltender will square to Ovechkin's shot from the mid boards if Backstrom pass up the the defenseman, or look for the give and go if Alex Semin cuts into the box. If the penalty kill can clear any rebounds, the Caps have put all there hopes on one-timers and give and gos through the slot. What needs to change is position with more movement. Interchange the QB Backstrom with Ovi or Semin and work in quick succinct passes. If the power play can not put the other team behind the eight ball, the Caps are looking at another disappointing off season. George McPhee knew that veteran goaltending could settle a team down. The Caps might have been more concerned about helping out rookie goaltenders Semyon Varlamov and Michal Neuvirth last season instead of relying on them to make the save. Tomas Vokoun comes in to bring in some relief in that department. Vokoun is known for giving up a 6 goal game from time to time (with a team like Florida in front of you, that will tend to happen). But he does bring some veteran presence in the net and a want to play for a championship rather than a contract. Taking a one year, $1.5 million (a pay cut by his standard), Vokoun is playing for much more than just money. Having not played in the playoffs since he was a Nashville Predator, the Caps' new number one is looking to prove he is an elite goaltender. 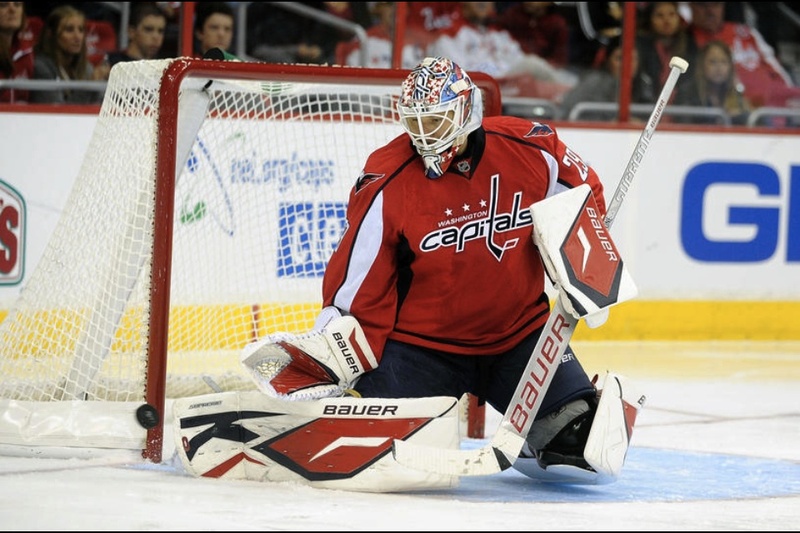 To do that, Vokoun has to be a consistent back stop for the Capitals. He doesn't have to be a brick wall, but he does have to have a few big grabs so the pressure is off the Caps defense. A healthy Denis Wideman and off season acquisition Roman Hamrlik should help with that too. It was said best by Mike Green, "We have wasted enough time." The Capitals "Young Guns" are now middle aged players with the window closing on them. Semin and Green are on their final year of their contracts. Ovechkin is now 26 years old and entering his 7th year in the NHL. It's time for the Guns to grow up. After Nick Backstrom and Alex Ovechkin numbers crumpled last season, the Capitals need for them to get over their slump. Injuries might have played a role in the post season disappointments, but the core players have to produce. I get it, it is the fourth line. The checking line is not expected to score, but they sure are not supposed to allow goals against either. Whether it's a fight to up the moral, a big hit, winning a face off, or a solid shift against an opposing top line the third and fourth line have to do their part. If the top players continue to play in a fog, the last two lines have to add some kind of spark to propel the team to action. Additions of Joel Ward and Jeff Halpern will help in this area. The pair bring in a good energy and some consistency at their positions. Halpern will fill in for the loss of Boyd Gordon in the face off dot. 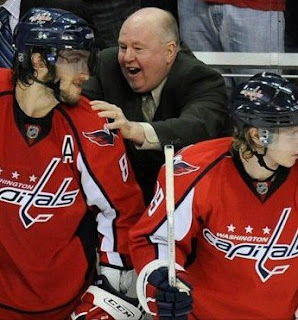 Bruce Boudreau may not have all the answers. Not every NHL coach does. But simply just changing linemates is not going to cut it anymore. Boudreau must step up his end and find solutions game to game. Find the issue and make the correction to change the course of any game. Last year, Boudreau raised some eyebrows when his response to a struggling power play was simply to replace a player here or a player there. The structure wasn't even attempted to be changed until late in the season when it was clear that the PP was going no where fast. Boudreau, Bob Woods and Dean Evason have to up their game too. They have to find answers to areas of weakness on their team. Especially now that the Division has improved in the off season to take on the Caps. None of these problems have a single silver bullet. Instead it will take several experiments to get the concoction just right. The advantage the Capitals have is some world class talent through out the ranks. Whether it's the big names in Ovechkin and Backstrom or solid young talent in John Carlson and Marcus Johansson, the Caps will steal quite a few games on the backs of just good solid talent on the ice.